Music festivals are amazing and can be really fun, but they can also become costly very quickly. Here are a few tips and tricks on how you can have a healthy and inexpensive festival experience! 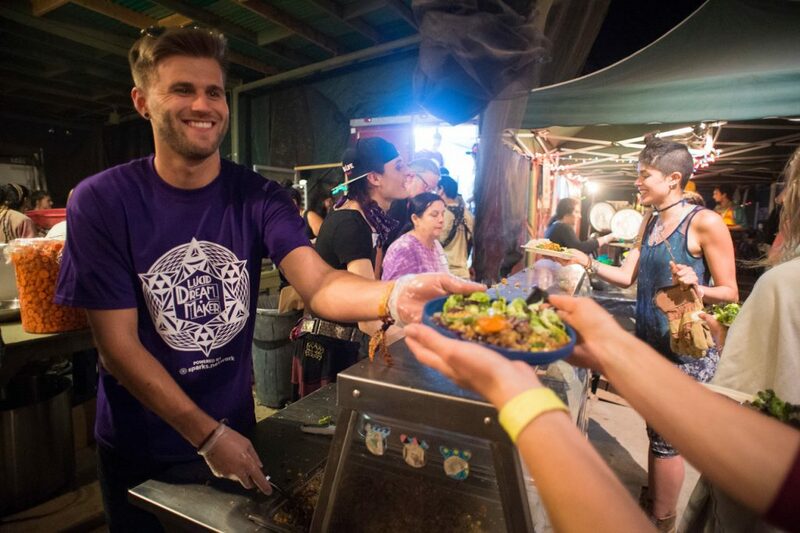 The biggest expense at any music festival is the cost of food. Grab some easy ingredients to whip up a balanced meal, as well as make some food to put in a large tupperware before hitting the road. Group meals are also a great way to rejuvenate from a long festival day. Bring some extra snacks to share with your squad, as well as lure in some new festival friends. 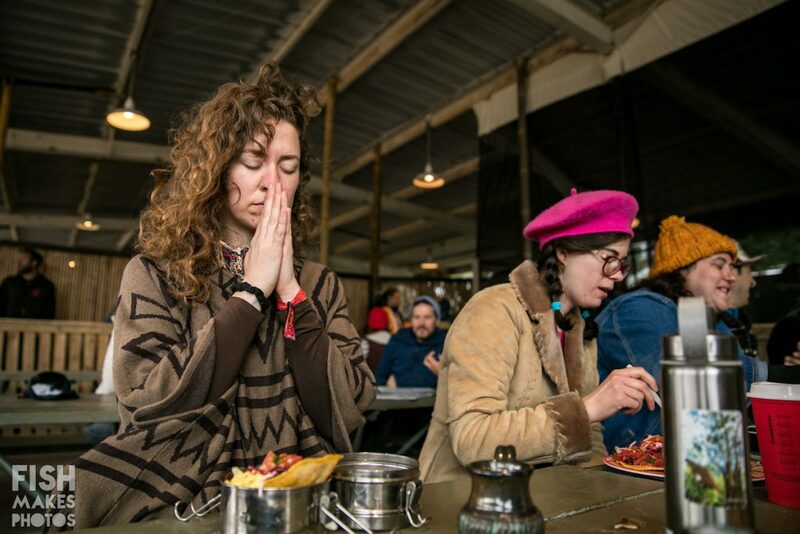 Nothing compares to sharing your festival stories over a plate of communal grub. 2. Healthy Meals, Ready When You Are! The Mindful Feeding Kitchen is a great option if you don’t want to take the time to cook and you would like to have healthy, nutritious meals throughout the weekend. All of the produce comes directly from local organic farmers and the Isla Vista Food Co-op. Lucidity Festival estimates that the cost of a Mindful Feeding Pass is less than what most would spend on groceries for a 3-day camping trip. This plan covers dinner on Friday plus brunch and dinner on Saturday and Sunday. 3. Be Prepared to Save & Grow! Being prepared plays a huge role in saving money and being healthy at festivals. Depending on how long you’re attending Lucidity, you will need to bring adequate supplies. See the FAQ questions about camping for more information in detail on what to bring. 4. Check out the Trading Post! At the trading post, you can find jewelry, crystals, cards, clothes, and more! Try some new styles that you have never worn before, and get wild! Practice non-attachment and bring some clothes that you can see bringing others joy, just as it gave you at one point while in your possession. 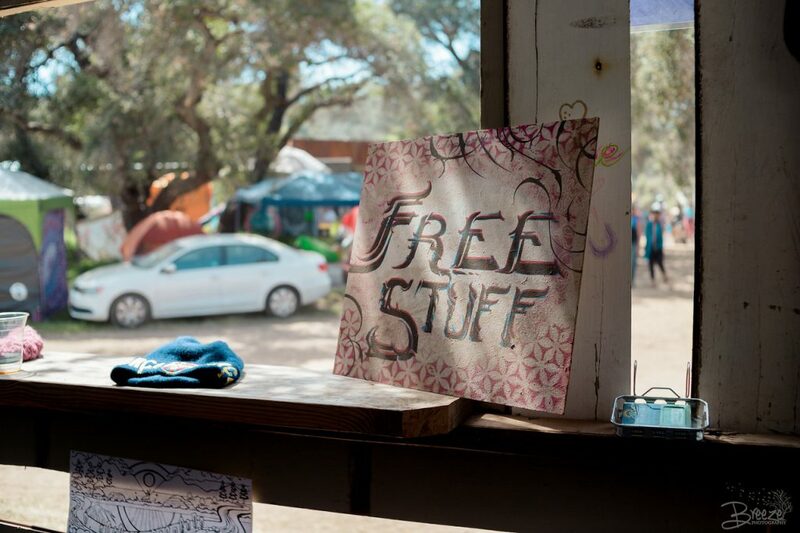 At Lucidity, there are a lot of creative and beautiful vendors who contribute an amazing spirit to the community. However, if you’re trying to be frugal this year, it’s really important to take a look at what you already own and choose to bring what represents your personal style and beliefs. Now, there may be things you know ahead of time that you will want to purchase at the festival (for example: a third eye pinecone), or you may see something that attracts your eye while walking by a booth. Just ask yourself, “What will serve me and my community best back home?” This should help clarify your purchases into investments that will have a beautiful return. 6. Early Bird Gets the Worm! And the Volunteer Gets in free! Another way to save on a 3-day festival pass is volunteering to be a dream maker at Lucidity. This option connects you to a team- which means making some new friends, receiving early arrival, and more! You only need 16 volunteer hours to receive a deeply discounted pass. There is something sweet about being a part of the team at Lucidity. Low income tickets are available to purchase with an accepted application. Send in your application HERE for a chance to be accepted for a low income ticket. Planning on going to Lucidity 2020 already? Mark the date that early bird tickets go on sale. You will save some cash in the long run from this decision. If you and your buddies can arrange arriving together and camping together you can all pitch in to help each other out. There are a couple of options when it comes to camping: you can car camp (requires a pass) or you can park and walk in with your belongings (there is a shuttle to help you transport heavy loads to the campgrounds). The campground is fairly small, so if you need anything from your car at the parking lot, it is a short (and GORGEOUS) walk on foot to get whatever you may need. Just remember to pack it in and pack it out! See HERE for more information on how you can live a clean festival experience. Just remember no matter what financial circumstances you may have, there are ways to make Moon’s Eye View affordable and magical. See you at Lucidity. Tickets here!